During the week, I generally like to eat healthy and then splurge on the weekends. One of my favorite splurges is Chinese food, but I have not had it in a long time. I guess about a year and a half ago, my favorite Chinese restaurant closed down. Since then, I haven't really wanted to get it any other place. If you look at the back of the restaurant, the sign is still there. As I drove by this weekend, I realized that I wanted to recreate one of my favorite dishes. This isn't Ocean East's vegetable fried rice, but it will do. I'm sure there are more authentic ways of cooking this dish, but when I wanted it, this satisfied the craving. 1. Spray a nonstick skillet or wok with cooking spray heat; when hot, add the onion, garlic, carrots and snap peas; saute until vegetables are crisp-tender; add vegetable broth and heat until boiling; remove to a separate bowl. 2. Spray the skillet or wok with nonstick spray and add eggs; cook until the eggs are set, breaking up with a spatula; add rice, vegetable mixture, soy sauce and salt; cook until heated through. It looks healthy and delicious. 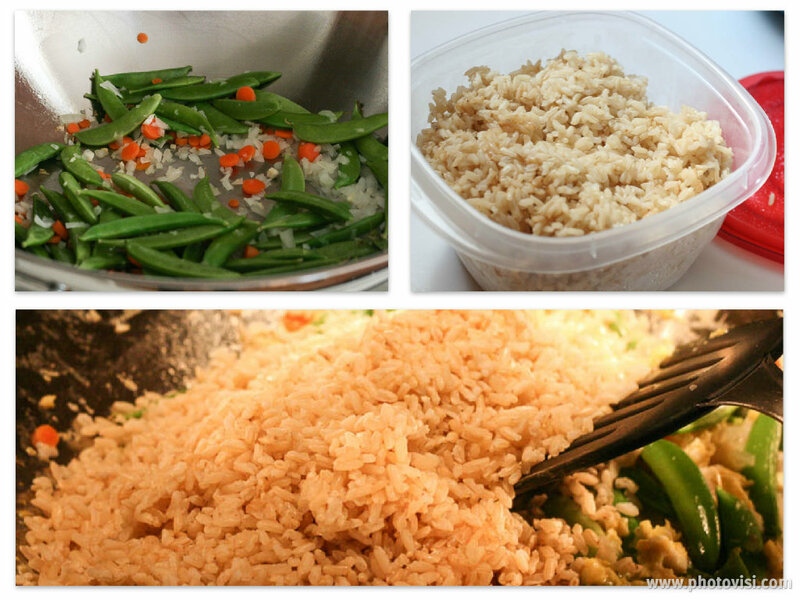 Mmm I love Fried Rice of any kind! I always take "good" route during the week as much as possible and splurge on the weekends! One of my favorite dishes! I love that yours is packed with veggies! And your rice looks perfect! Pinned! This sounds wonderful! I love fried rice. My mouth is watering! 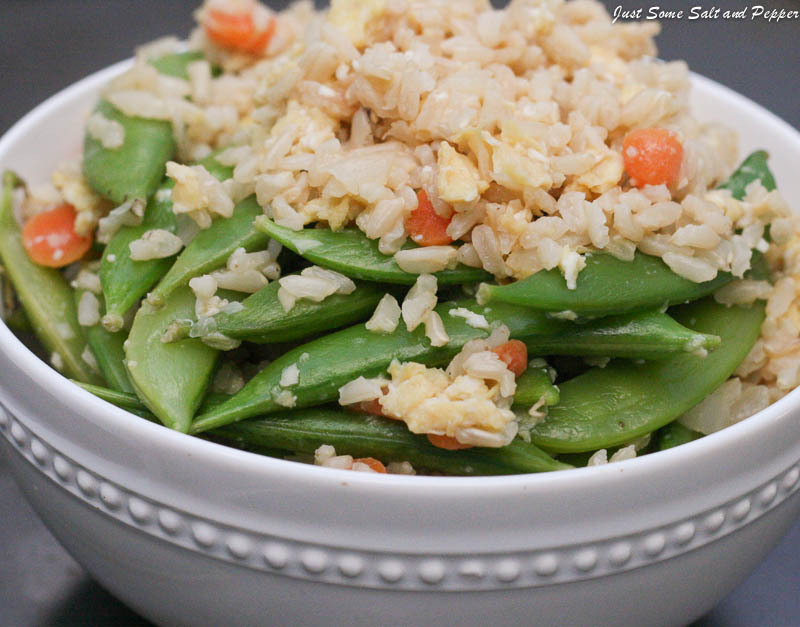 I love having homemade veggie fried rice as a meal! So tasty! 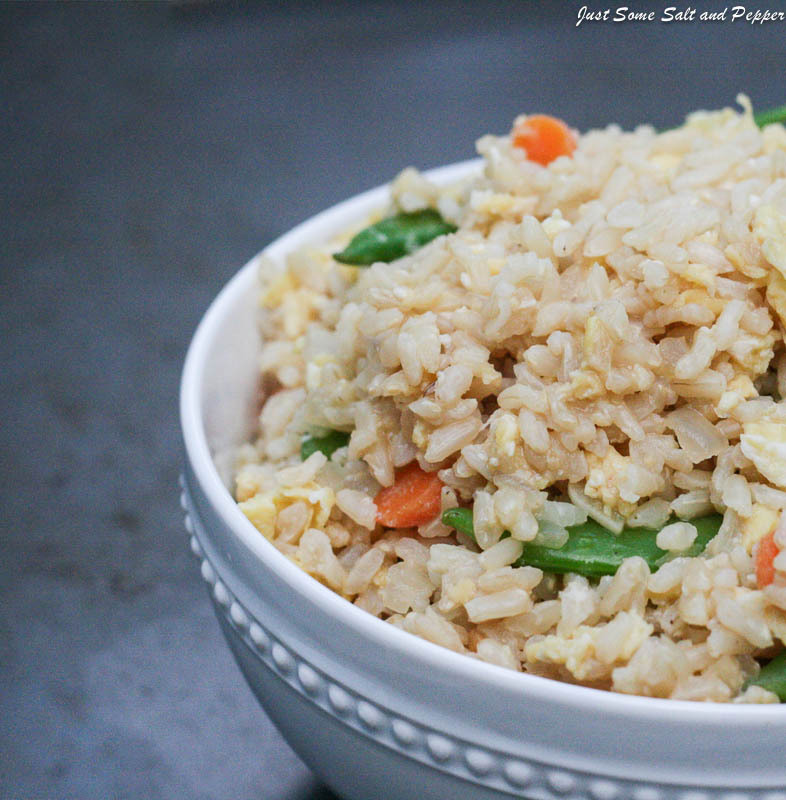 Isn't fried rice the best comfort food? This looks delicious...and full of veggies too! Thank you for sharing! We have Chinese food waaaay too often, but it's just so good! This is an amazing healthy alternative when that craving hit! mmmmm I have not had fried rice in forever! I love fried rice! And it's so nice to make it at home where you can enjoy a lighter version. I only started realizing all this recently and trying to make my restaurant favs at home. They are usually easier than I first feared. I like this vegetable and brown rice version. another healthy recipe. I like vegetable combination.